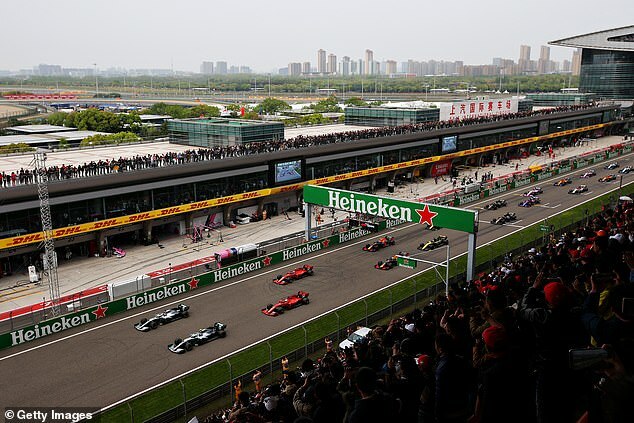 Valtteri Bottas had an unusual excuse for losing pole position at the start of the Chinese Grand Prix – the grid markings on the track. The Finn qualified first in Shanghai, but lost position to Mercedes team mate Lewis Hamilton on the first corner and never looked likely to win his place back. After the race, Bottas said he had lost crucial time because his car had struggled for grip on the white paint on the home straight. Bottas said: ‘I think I lost it in the start, honestly. Otherwise the car was feeling okay and the pace was similar. In the first stint, in the dirty air, I couldn’t follow. 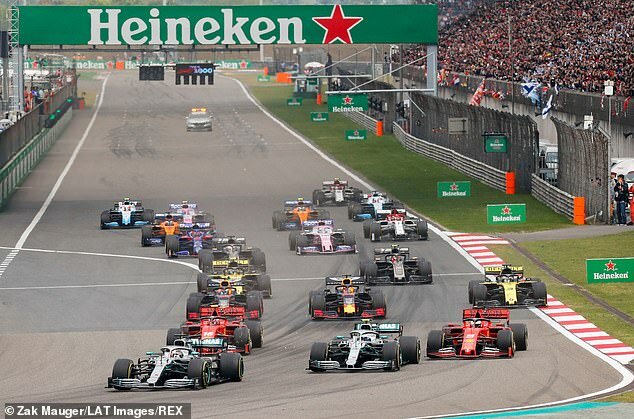 Bottas held on to second place, fending off the challenge of Ferrari’s Sebastian Vettel to ensure a third Mercedes one-two finish in as many Grands Prix in 2019. 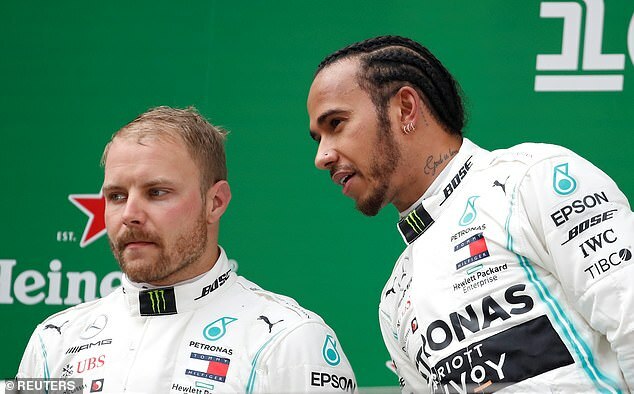 Now second to Hamilton in the drivers’ standings, Bottas praised Mercedes for putting him and his team mate in such a strong early position. Bottas now has 62 points in the standings, six behind Hamilton but well ahead of Red Bull’s Max Verstappen in third place, with 39.